"I'm not aware of any of those activities… in that campaign, and I did not have communications with the Russians." -Attorney General Jeff Sessions under oath. We now know that statement was a lie on multiple counts. Sessions was forced to admit that he met with Russian Ambassador Kislyak twice during Trump's campaign — once at the RNC. We also have learned that Sessions personally presided over a meeting during which convicted Trump advisor George Papadopoulos discussed his collusion with Russia. Our Attorney General has lied to the American people under oath and compromised our democracy in the process. It's time to hold him accountable — he is not above the law! 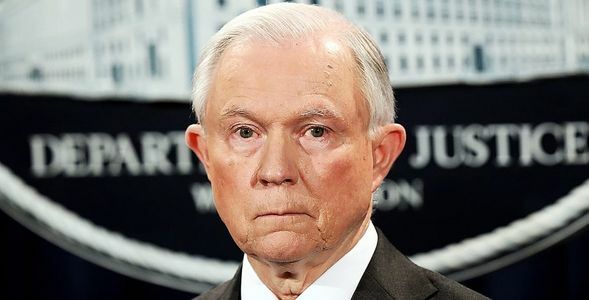 Add your name to demand Jeff Sessions be charged with perjury and obstruction of justice for his brazen attempts to cover up Russian collusion in the Trump campaign.